This industry information page is exclusively for members of the Freeranger Club. If you need any further information about free range farming, accreditation systems or any aspect of the egg industry in Australia please email us or send a query through our Contact Us page. When you decide to set up a free range egg farm, take the time to plan it properly. Find out the zoning of the land and talk to your local Council planning department about their requirements. It’s also worth contacting the State Department of Agriculture. You can find on-line resources in most states. In Victoria, contact: http://agriculture.vic.gov.au/agriculture/farm-management/business-management/permits/guidelines-for-rural-planning-applications. Once that is sorted, talk to your Council Environmental Health Department about any specific requirements they have before you get underway. ​The action of Australian politicians in allowing poultry farms with stocking densities of 10,000 hens per hectare to describe their eggs as free range, opens up some major issues. One is the level of unfair competition from big business against small family farms.It’s unlikely that consumers will accept that definition and most planning authorities will not accept such a density because of issues like odour, contamination of land, aquifers and waterways. Many planning authorities will refuse permits for new free range farms because of the absurdly high standards developed by politicians. The potentially catastrophic problems of Avian influenza may soon be eliminated with the wide availability of a vaccine for poultry.The U S Department of Agriculture has conditionally approved the first DNA vaccine for poultry in the battle against avian influenza. The conditional license granted to Montana-based AgriLabs for high pathogenic H5 will provide a tool for US poultry producers if stockpiling is needed for future avian influenza. A spokesman for the company said the move was a major milestone in meeting the promise of DNA vaccines in animal health. DNA vaccines are attractive because they don’t expose the animals being treated to disease-producing organisms and there is no risk of a modified pathogen mutating back to a virulent form. The vaccines also provide the ability to differentiate among infected and vaccinated animals. The approval will allow production of the vaccine to be stockpiled fort future use in t he event of an outbreak. ​Code of Practice for the Welfare of Animals (Domestic Poultry is to be replaced by a set of animal welfare standards and guidelines being prepared by Animal Health Australia. When approved, they will apply in every state and territory. All State Ministers for Consumer Affairs/Fair Trading have agreed to a pathetic national standard for free range egg production. They have allowed farms with stocking densities of 10,000 hens per hectare to label their eggs as free range. Hard to believe. but true. The lobbying was heavy from the big end of town which pushed for intensive production systems to be the 'free range' definition. The new standard will not improve the integrity of the labelling system and will not give consumers confidence in the egg industry. Hopefully the new standard won't discourage people from setting up genuine free range farms. Free Range egg farmers in Australia who follow the outdoor stocking densities set out by Ministers for Consumer Affairs and the Federal Minister for Small Business, in their recent decision on a free range standard are likely to face prosecution by the Australian Competition and Consumer Commission. The density suggested by the Ministers does not comply with consumer expectations (as already decided by the Federal Court). The ACCC has produced a guide to help hen egg farmers of all sizes understand their fair trading rights and obligations when promoting or selling free range eggs. The guide also informs consumers and the public about the ACCC’s approach to free range egg claims, which are made on labels. On 31 March 2016 Australian Consumer Affairs Ministers said they wanted an information standard for free range eggs to be in place within 12 months. The information standard is not currently enforceable as reforms to give effect to the new regulations have not been introduced or passed by Parliament. The ACCC will amend its guidance as the information standard progresses. On top of that the intensive stocking density will not meet planning requirements and will almost certainly mean that such operations will be treated as feed lots and require a planning permit. Public consultation on new welfare standards to replace the Model Code of Practice for the Welfare of Animals, Domestic Poultry is expected to begin within two months. Animal Health Australia has been preparing the new standards for over a year, in consultation with a variety of major interest groups. 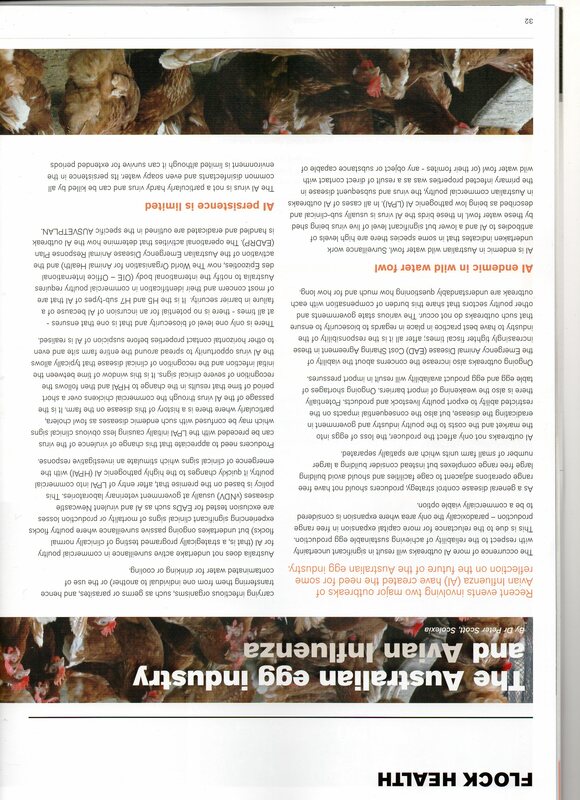 Details are at http://www.animalwelfarestandards.net.au/poultry this is part of the submission we will make to AHA. Chickens need to be allowed to follow their normal behaviour rather than be confined. Modern domestic chickens have the same characteristics and habits as the Red Jungle Fowl from which they descended. The Red Jungle Fowl range in small groups on the forest floor. They forage on the ground for seeds, fruit and insects, using their feet to scratch away leaf litter when searching for food. From animal behaviour website https://www.animalbehaviour.net/poultry On modern intensive cage egg laying properties,.chickens are kept in groups of 3–10 birds in cages with space allowances of 350-600 sq cm per bird(Mench and Keeling, 2001). Stocking densities vary around the world, 350 sq cm on average in the United States, to as high as 700-800 sq cm in Norway and Switzerland (Savage, 2000). Meat chicken sheds. These hold from 10,000–70,000 meat birds, housed on litter in either semi-enclosed or environmentally closed houses. Stocking densities vary from 30–50 kg live weight per square metre (Mench and Keeling, 2001). The social organisation differs in these systems but pecking orders emerge in cages. In cages, there is a definite hierarchy established by pecking and threatening when the hens are placed in the cage, usually a few weeks before laying commences The social order in broiler flocks is relatively unimportant as they are generally processed at an age when the establishment of social stratification is just beginning (Siegel, 1984). Laying hens have complex interrelationships involving social rank, aggression, feeding behaviour and egg production (Mench and Keeling, 2001). In large groups kept together for some months, subgroups form and become restricted to an area. This means that birds can recognise their own group members and those of an overlapping territory. It was suggested that this territorial behaviour is important in large flocks as it reduces the numbers of conflicts when strangers meet (McBride and Foenander, 1962). It has also been shown that individuals are more dominant in the area where they spend most time. Thus in larger flocks, hens tend to live in neighbourhoods where they are well-acquainted (Craig and Guhl, 1969). Laying hens choose to feed close to each other when given a choice of feeding locations, which demonstrates the importance of social attraction (Meunier- Salaun and Faure, 1984). Hens that are in the same cage and in neighbouring cages synchronise their feeding. Chickens show socially facilitated feeding, in particular, they peck more at feed when they have company than when alone (Keeling and Hurink, 1996). Caged birds may exhibit some abnormal behaviour such as head flicks and feather pecking, i.e., pecking and pulling the feathers of other birds (Mench and Keeling, 2001). Feather-pecking may be a form of redirected ground pecking (Blokhuis, 1989). Experience in early life with ground pecking may influence pecking behaviour in later life (Blokhuis, 1991). The motivation for the redirection of ground-pecking happens when the incentive value of the ground is low, compared with the incentive value of pecking substrates (Bindara, 1969). In high-density situations, the birds and feathers make up a higher proportion of stimuli relative to the litter area. It is possible that the birds may perceive the feathers as dust and that may cause a redirection of ground pecking to feather-pecking (Hansen and Braastad,1994). Egg production in Australia and throughout the world has increased in recent decades, and has reached an annual volume of 68 million tons worldwide. Australian production has hit 460 million dozen. The main reasons are that chicken eggs are a valuable source of protein and are also inexpensive.The huge demand for eggs has led to more intensive production, replacing traditional free range methods. This has resulted in serious environmental impacts. Those impacts will almost certainly increase with a high density outdoor stocking rate of 10,000 hens per hectare approved by Australian Ministers for Consumer Affairs. Currently, about 7 million tons of eggs are produced each year in the European Union. Spain is one of the largest producers with 1,260 farms and an average of 67,700 chickens each. Together with France, Spain represents about 25 percent of European production, according to the Ministry of Agriculture, Fisheries, Food and Environment. In addition, the production of eggs, like other intensive produce, generates negative effects on the environment, including the emission of greenhouse gases or the contamination of soil and water. It was not until the 1980s that intensive livestock farming began to be considered an environmental problem, and since then, few studies have focused on the impact of laying hen farms on the ecosystem. To determine the environmental implications of egg production in Europe, a team of Spanish researchers has taken as model an intensive poultry farm located in Asturias, with 55,000 laying hens and an annual production of more than 13 million eggs. The results are published in the Journal of Cleaner Production. Rather than use the industry standard for the nutritional value of eggs. Some producers may wish to have their eggs analysed to show a clear difference between production types. There are many registefred laboratories which provide resulkts for egg farmers. some are: the National Measurement Institute; Envirolab Services and CDR Foodla​b. One of the biggest initial issues with setting up a free range egg farm is deciding on the type of shedding. Fixed, permanent sheds will require planning and building permits. Mobile sheds are an ideal alternative. Many people looking to start a free range egg farm have limited funds available, so they need to look for low-cost solutions for shedding to get the business established. This may mean building the sheds on farm, converting caravans, buying them second hand or getting a local business to custom-make them to order. Tell your fabricator what you want and he will build it. A $300,000 fine plus costs was handed down by the Federal Court against a NSW farm Pirovic Enterprises which claimed its eggs were free range. It was hoped that this decision would help to stamp out consumer deception in the way many eggs are labelled. But the new national standard dashed those hopes Thanks to gutless politicians. The ACCC brought a couple more successful actions in the Federal Court against crooked egg producers. One of these resulted in a WA egg producer having to pay $1 million in fines and costs for deceptive labelling. A new levy of 1.4 cents on every chick purchased by farmers is being charged, on top of existing levies. November 2012; and another outbreak of HPAI among laying hens in October 2013. Specialist poultry industry vet, Dr Peter Scott has said that free range farms should not be established alongside intensive farms and dams should not be sited near poultry flocks (both these problems were evident on the farm at the centre of the latest outbreak). IEC Biosecurity checklistThe International Egg Commission (IEC) has developed a Practical Biosecurity Check List designed to help egg businesses improve their overall biosecurity.. The comprehensive Biosecurity Check List has been developed. This new resource is freely available to the egg industry. It provides practical guidelines for egg farmers and producer businesses, to help reduce the risk of infection. For home consumption, the quality of eggs shells is not a big issue, but eggs offered for sale need to be as perfect as possible. Many factors affect the quality of an egg shell prior to the egg being laid. The thickness of the shell is determined by the amount of time it spends in the shell gland the rate of calcium deposition during shell formation. If the egg spends little time in the shell gland, the thickness will be less. Also, the time of the day when the egg is laid determines the thickness of the shell. In general, the earlier in the day, the thicker the shell will be. Diseases like infectious bronchitis (IB), Newcastle disease (ND), avian influenza (AI) and egg drop syndrome (EDS) affect the shell quality. IB virus causes soft/rough shelled eggs, discolouration and wrinkling of the shell. EDS virus affects only the shell gland but with ND or IB, every portion of the reproductive tract can be affected. Poor housing and high ambient temperatures can also affect shell quality. Here are a heap of egg stamping options readily available to meet the requirements of the national regulations. Egg Grading & Candling Here's some info from the US about candling and grading eggs - the details are relevant here, except we don't believe that eggs should be washed. Talk to your vet if you suspect your chooks are suffering from a disease. You may get information you need about diagnosis by contacting the Poultry CRC or consult a booklet produced by Intervet - Important Poultry Diseases. or you can read the US publication Diseases of Poultry edited by David Swayne. Some veterinary drug manufacturers publish information sheets on specific diseases. Anatomy of a chicken. Here's a useful guide from the Poultry CRC.